Many different things contribute to high blood pressure including poor diet, lack of exercise, and poor stress management. The good news is that you can reduce your blood pressure naturally through lifestyle changes. To understand some of the workings behind things that contribute to high blood pressure, I want to discuss two filtration systems in your body. First, the lymphatic system. The lymphatic system is one of the waste disposal systems in your body and it also helps fight infection and carries dietary fats. Your lymph system cannot circulate on its own, but relies on your movement and muscle contractions. When your lymph system gets backed up from lack of movement, too much fat in the diet, or even regularly eating high fat meals before sleeping, the pressure in the lymph system increases. This stagnation can cause the blood pressure to increase. When this happens over a period of time, joints in the spine become fixated. You will notice that you will feel stiff and maybe a little achy. Chiropractic adjustments help to restore motion to fixated segments and help get stagnant lymph moving again. The other filtration system in play here is in the kidneys. When blood flow to the kidneys is decreased for whatever reason (atherosclerosis or plaquing of the arteries for example), your kidneys assume that it is due to dehydration. They respond by producing hormones that cause the body to retain sodium and water, which ends up increasing blood volume and therefore blood pressure even more. So to put it very simplistically, one of the things that contributes to high blood pressure is a back up of your body's cleaning and elimination systems. How do we fix this? Through movement! Ideally it will be movement through exercise (both cardiovascular and strength and flexibility training). as well as movement through chiropractic adjustments. You will also need to get things moving on the inside so that your digestive, renal, and lymph systems start moving properly so your body can filter and heal. Another benefit of physical exercise besides strengthening your heart and moving lymph is stress relief. Emotional and mental stress can also raise your blood pressure by elevating hormones that cause your blood vessels to constrict and your heart to beat faster unnecessarily. Exercise has been proven to reduce stress. Yoga is especially helpful because you practice mindfulness and breathing techniques while moving, so you get the best of both forms of pressure reduction. You can also practice mindful breathing techniques to lower stress throughout your day. Simply counting your inhales and exhales and keeping them the same length can bring you out of your head and into your body, reducing stress and balancing the nervous system. And finally, nutrition. You will want to eliminate or at the very least reduce added sugars. Unnatural sugars like high fructose corn syrup and the sugars in processed foods have been shown to raise blood pressure even more than salt. Plus, these added sugars are inflammatory, and inflammation increases blood pressure systemically. You will also want to eliminate other inflammatory foods like hydrogenated oils and processed foods. Instead, consume foods high in potassium, which balances the body's sodium levels, Omega-3 fatty acids, which are anti-inflammatory, and magnesium, which helps relax blood vessel walls. So the bottom line is, eat more fruits and vegetables. Some good suggestions that include these vitamins and minerals are avocados, chia seeds, figs, and berries. Finally, let's talk about moderation. If your system is extremely toxic and congested, you can't start with moderation and expect to see a great deal of improvement. You have to go to the other end of the spectrum, almost like a detox, and get cleaned up first. Once you get to a healthy baseline, then you can enjoy moderation. At our office, we may help this process along by recommending supplements to help clean and detoxify your system in addition to specific dietary changes to get you feeling better and healthier. Should You See a Nutritionist? The amount of nutritional information available on the news and web can be overwhelming and often the information is conflicting, Every day there is a new diet or superfood making, it difficult to know what foods and diets are best. Should I cut carbs? what should I eat before exercise? Do I need supplements? are some common questions people have. Seeing a nutritionist is arguably one of the best things you can do to prevent disease and feel better overall, and we will clear up all of the confusing dietary advice you may have gotten in the past. Here are some reasons you may want to schedule a visit with a nutritionist at TCA. We will help find the best foods for your body so you can ditch the fad diets and eat healthy for life. We will help you solve the problem of information overload, so you don't have to use the potentially detrimental method trial and error to see what diets, foods, or supplements work best for your body. A nutritionist will work with you to help you meet your health and fitness goals and keep you accountable for what you're eating. We will likely recommend weekly check-ins in the beginning to get you started on the right path and make sure your new meal plan is working for you. If you have a fitness goal like running a marathon or you just want to tone up, we will help you achieve those goals with a meal plan that is right for you. Prevention is always the best medicine, but if you have pre-existing health conditions such as high cholesterol, acid reflux, or diabetes for example, we can help you manage and potentially resolve these issues. We will always try to get you to obtain your nutrients through real foods, but we may recommend supplements - even temporarily - based on your current health situation. We carry only top-of-the-line supplements that can only be purchased through a healthcare provider. Most of the vitamins and supplements available at the drug store are not in a bioavailable form, meaning your body can't absorb them well. Additionally, when you take just one mineral or vitamin, it can throw off the balance of other checks and balances in your body as it attempts to maintain homeostasis. Our supplements are in the form of whole foods and not isolates of chemicals, so your body can absorb them. When we develop a meal plan for you, we take into consideration foods you like and dislike, and come up with meal plans and recipes that fit your nutritional needs as well as your lifestyle needs. Whether you love to spend hours in the kitchen preparing meals or need quick and healthy dinner ideas - we tailor the plan to your lifestyle making it easy to follow as well as delicious. The foods you eat fuel your body. When you eat the wrong things at the wrong times, you develop a buildup of toxins and your GI system becomes sluggish, causing fatigue. 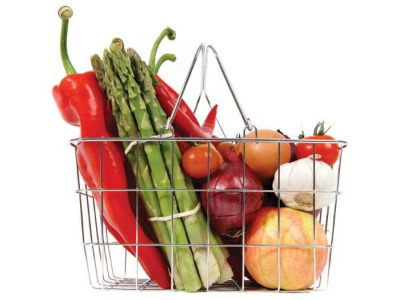 We will teach you how to eat for life, so you can feel and look your best and stay healthy. Your diet is the key to preventing health issues down the road like diabetes, high blood pressure, and obesity just to name a few. If you are ready to take control of your health, its time to make an appointment! There's no better way to beat winter blues and stave off illness than through good nutrition. Mela, our office manager, shared one of her favorite smoothie recipes with us. It is balanced with healthy fats, vitamins and nutrients to keep you energized and feeling good. Enjoy it for breakfast or after a workout! The end of the year is once again upon us. While it is a season of celebration and joy, it can also be stressful. You may feel pressure to host a stellar holiday party, give the perfect gifts, and entertain family and friends while still finding time to stay healthy and exercise. How can you find a good balance between giving and receiving this season? Below are some tips to help you stay healthy and happy this winter. Practice Compassion. Overindulging is ubiquitous this time of year and it is ok as long as you don't make it an everyday occurrence. When you do have a high-calorie or high-sugar setback, find an attitude of compassion for yourself. If you forgive yourself for one setback, you will be less likely to keep eating. So if you lose control on one dish, instead of thinking, I've blown my diet, might as well eat more, just forgive yourself and move on. Be a food snob. If you don't love it, don't eat it. At parties and gatherings, look for foods you truly like and skip the dishes that are available all year long. Go ahead and indulge in your personal holiday favorites, then find a seat and slowly and mindfully enjoy your food. And prior to the party, eat normally. If you skip meals to "save up" calories for your party, you will have a tendency to overeat once you get there. Protein and healthy fat are your friends. If your holiday go-to treats are of the sweet variety, it is important to understand that consuming extra sugar gives you more than just an excess of calories. Simple sugar leads to a cascade of hormones causing your blood sugar to spike and crash, sending a signal to your brain that you are still hungry even though you just consumed a lot of energy. But if you eat lean protein and healthy fat (avocados, nuts, full fat dairy), hormones are released that tell your brain that you are full and satisfied. Aim to minimize your consumption of extra sugar and keep yourself satisfied by eating healthy fats, protein, and fiber. Eat your fruits and veggies. Aim for 7 or more servings of fruits and vegetables a day. The fiber content will keep you feeling full and the vitamins and nutrients will nourish your body helping you stay healthy during the winter. Schedule Your Exercise. Your schedule will likely be hectic this season. Schedule your workouts just as you would any other appointment. It's ok if you can't make it to class, but make sure that you work up a sweat at least three days per week. Get Adjusted. Whether you're traveling or staying home, maintaining your spinal alignment will help you feel and function your best so you can stay healthy and reduce your stress level. Rest easy. It is always important to get adequate sleep, but during this busy time of year (and cold and flu season) it is especially critical. To get the best quality sleep, avoid foods that are high in fat or protein and alcohol 2-3 hours prior to bed. Fats and protein require your body to work harder at digestion which interferes with your sleep. And while alcohol helps you fall asleep quickly, when your body starts to metabolize it your sleep is disrupted. You may wake up frequently (even if you don't remember doing so) and you will miss out on restorative sleep. If you’re still hungry close to bedtime, have some complex carbohydrates like whole-wheat crackers, popcorn, or fruit. Boost your mood. This time of year is typically cold and dark for us in the metro DC area. For many, this can lead to seasonal mood changes. Due to the lack of sunlight, I recommend supplementing with vitamin D3 (400-1000IU/day). You may also want to supplement with the omega 3 fatty acids EPA and DHA. They have been shown to improve symptoms of depression and aid in brain function. Even if the weather is not the best, try to get outside for at least a few minutes a day for fresh air and sunlight. Avoid comparison. You’ve read the status updates and have seen gorgeous instagram photos about glamorous vacations, perfectly-behaved kids, and well decorated house, but remember that those people have bad days too. Most people put their best self forward social media, so don't compare your life with those dreamy-sounding posts. Find at least one thing each day to be grateful for and enjoy the season! I find that many of my athletic patients are wondering what and how much to eat before and after their activity both to improve performance and just feel better overall. While the following guidelines are stated for running, they can - for the most part - be applied for workouts of light, moderate, or high intensity. By eating the right foods at the right times before and after your runs or workouts, your body will be able to recover and perform the way you want it to. Plus with proper fuel, you’ll reduce your chance of injury and illness. I am an advocate of being in touch with your body and establishing the type of relationship that doesn’t require excessive counting and measuring of food items, but encourages you to be in tune with what your body is telling you. However, this can take some trial and error, so here are a few guidelines to get you started. 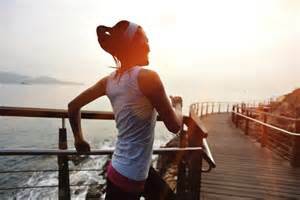 Before: For a morning jog of no longer than 30 or 45 minutes at a relaxed pace (you can hold a conversation), a glass of water might be all that’s needed ahead of time—provided you had a decent dinner the night before. But if last night’s meal wasn’t substantial or if you ate it early, having some orange juice or a banana will replace glycogen stores in your muscles to stave off sluggishness. If you’re heading out in the afternoon, have a snack with about 50 grams of carbs —like yogurt and granola—an hour or two beforehand. After: There’s no need to take in calories immediately, but try to eat a snack or your next meal within 1-2 hours. Skipping a solid post-run meal could lead to lethargy or sugar cravings later in the day, and down the road even sickness or injury. Before: Consume 200 to 400 calories (depending on your size and how long before the run you’re snacking) of easily digestible carbs, such as toast with jelly 30 minutes to 1 hour before your training. Consider replenishing your fast-twitch muscles with a sports recovery drink or gel between intervals and this has been shown to improve performance through the last rep.
After: It’s absolutely crucial to eat something within 30 minutes to supply your muscles with fluid, carbs and some protein. Aim for a 4:1 ratio of carbs to protein (an easy source: chocolate soy/almond/regular milk) to best aid recovery. Before: Eating a full meal 3-4 hours before you head out to slog through many miles is ideal, but there’s ideal, and then there’s practical. If you're planning on running early in the morning, you don't have to wake up at 3am to eat, just have that meal an hour or so ahead of the run and make it something easily digestible, like a banana with peanut butter or a high-calorie sports drink or smoothie. Even more important is to have a good hydration and fuel for the run. Try to take in between 150 and 300 calories per hour during extra-long bouts via gels, sports drinks, or whatever snack that you can carry and that your body can handle. After: Same as with speed work, make sure to eat within half an hour of your finish. Go for 200 to 300 calories and try to include an anti-inflammatory food such as avocado or walnuts to reduce the inflammation caused by all that pounding on the pavement (or trail). Then sit down to a bigger meal a few hours later and continue snacking every two hours or so for the rest of the day. After a long run, your muscles can’t bounce back from just one feeding; eating more often jump-starts recovery. Feel free to leave your questions in the comments! Cold and flu season is upon us once again. In addition to eating right, exercising, and getting a flu shot, what else can you do to prevent ailments this season? Get adjusted! The reason? Adjustments affect your autonomic nervous system which, among other things, controls your lymphoid organs such as the lymph nodes, spleen, and thymus. These organs in turn, control your immune response. Specific adjustments have been shown to increase the number of white blood cells (neutrophils) which combat diseases. Other effects of autonomic regulation via spinal adjustments include lowering blood pressure, relieving anxiety, and reducing inflammatory cytokines and pain. Chiropractic adjustments do not treat these conditions directly; they address and remove spinal dysfunctions that are interfering with your nervous system and encourages a cascade of reactions that allow your body to defend itself and heal. Once you have had an adjustment, it is important to make sure your diet is up to par so that you give your body the nutrients it needs. If you don't have the proper building blocks, or if your are eating foods that are immune compromising (sugar), you will not be able to defend from illness nearly as well. Eating refined sugar essentially "turns off" your immune system, or at least impairs its function for up to 3 hours after you eat it. So while it is ok every once in awhile, make sure you're not eating refined sugar regularly, and especially don't eat it if you are already sick or feeling down as it will further weaken your immune system. Aim to get at least 7 servings of fruits and vegetables daily. Get a variety of fruit and veggies including citrus fruits, berries, spinach, kale, sweet potatoes, and others that are good sources of vitamins and nutrients including vitamin C and E, beta carotene, and zinc. Of course, make sure you get at least 30 minutes of movement a day and adequate sleep to keep you feeling healthy and happy now and all year long. Bad posture is only cute on cats. We've probably all heard the request to "sit up straight" and have "good posture" at some point, but it's easy to forget just how important good posture is. When you come in to the office to get adjusted, we fix your alignment, remove subluxations, and help re-balance your muscles. But outside of the office it is up to you to practice good posture along with the stretches and strengthening exercises we may have prescribed you. Having good posture is part of your care outside of your chiropractic adjustments. Practicing proper posture not only makes you feel and look better, but it will also help you increase the length of time between adjustments and will train your body to maintain proper alignment longer. Additionally, having good posture improves your energy through out the day. Whether you're standing or seated, slumping forward and rounding your shoulders not only makes you look and feel less confident, but also makes you more tired by slowing your digestion and reducing your tidal volume (breath capacity). It also puts extra strain on the muscles and joints of the lower back, upper back and neck which can lead to quicker joint degeneration and chronic pain. Good posture: shoulders over hips, shoulder blades down and back, chin parallel to the floor, ears over shoulders. If you find yourself sitting for the majority of your day, you will also likely feel more tired than you would if you were able to move and stand more. Many recent studies have stated how bad sitting all day is for you. Fortunately, other studies have shown that getting up just once an hour for 5 minutes and walking - even as slow as 2mph - can reverse the negative effects of sitting. Consider setting an alarm on your phone to remind you to get up, stretch, walk around, or just check in on your posture. When you catch yourself slouching, stand up or take a stretch break to open your chest: Place your hands behind your head. Squeeze your shoulder blades together, bringing your elbows back as far as possible. Once you start practicing proper posture, it will become a habit and slouching will no longer feel normal or comfortable. So start getting the benefits of good posture today: decrease and prevent pain and increase your energy! Image credits: sicknesshealth.com; blog.bufferapp.com; ehs.utoronto.ca, respectively. Everyone has days where they feel tired and unmotivated, but if you find yourself feeling tired nearly every day and need copious amounts of caffeine to get you going, chances are there may be something you're doing (or not doing) that is zapping your energy. Over the next few posts, we will explore some of the things that may be making you feel less than your best and how you can change your routine to feel refreshed and energized through out your day. You are probably familiar with the "sugar high" that is obtained after eating simple sugars (think pastries, candy, etc) followed by the subsequent "crash". This is because consuming simple sugars and foods with a high glycemic index leads to a rapid spike in insulin followed by a subsequent "crash". Say you eat a cupcake. You get a sudden blast of sugar into your blood stream and it must be moved somewhere, it can't just hang out there or it will cause damage. This is where insulin comes in. It grabs the sugars and transports them to your muscles. Insulin usually gets a little over zealous though, and takes your blood sugar down to a low level - sometimes even lower than it was BEFORE you ate. This accounts for the "crash" feeling you get after the initial high. Besides avoiding the obvious high-sugar foods like pastries and candies, watch out for "hidden" sugar in seemingly healthy foods like flavored yogurt and energy bars. Look for items with 5g of sugar or fewer. Eating every 3-4 hours (or 5-6 times a day) helps maintain stable blood sugar and ensures you have enough energy through out your day. That being said, eating frequently does not mean eat whatever you want - portion control is key. Of course, the amount of nutrients and total calories that are needed varies greatly from person to person depending on age, gender, and activity level, but aim for a combination of protein, complex carbs, and good fats to keep you satisfied. The info graphic below shows some very simple examples. This seems counter intuitive at first because caffeine is a stimulant that can enhance your mental and physical performance. But like other stimulants, it is a drug that your body builds a tolerance to. This requires you to continually up your dose to feel the same effects. The added caffeine puts stress on your adrenal glands and can actually make you more tired. Consider taking a 2-3 day caffeine hiatus every month or so to reset your caffeine tolerance. Next week we will be discussing posture and how it affects your digestion, breath, and energy level. Stay Tuned! The drawing above was done by Dr. Sean Woods when his wife was just starting chiropractic school. The story goes that she was using a dry (plastic) spine to study when the then architect student couldn't pass up the opportunity to draw something so structurally sound. As his wife was going through school, Sean fell in love with chiropractic and the relief it brought to people. He switched career paths and joined his wife in school. They went on to open this practice together in 1997 and have been going strong ever since.